Just few months back, we saw the cute and chirpy Parineeti Chopra in an entirely new avatar, but not for a movie. This was a photo shoot, where we saw a fitter Pari, giving a fitting reply to the body shamers. Since then, the actress has emerged as a pariah for those who have suffered similar humiliating circumstances in life. Parineeti loves her new self and has been encouraging everyone to do be healthy and fit, and not be too skinny with the wish of losing weight. However, the same Parineeti has come under the radar of Twitteratis for an innocent birthday wish to one of her friends, who she advised to eat less and grow thin. Her followers went berserk and started taunting the lady for body shaming a friend when she herself was staunchly against it. Take a look at the tweet which led to this hull-a-boo. 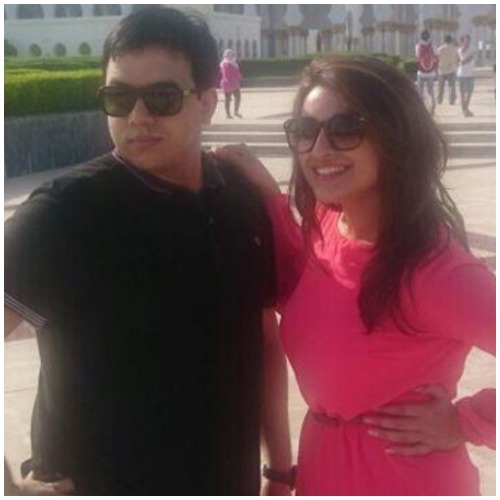 However, before things got out of hand, Parineeti’s friend, the one who had been ‘body shamed’ according to the Twitteratis, came to her rescue, and he does make sense. He posted a very hilarious account of how this silly and simple wish was blown out of proportion, and we couldn’t agree more. Shahzaib Ali, Parineeti’s best friend, wrote an open letter which got published in a leading daily, and it is both hilarious yet totally on point and making sense. “She got Alia Bhatt to wish me too and totally made my day. She didn’t let her stardom colour the way we conduct our friendship, lame jokes and all. I’d tried to stay silent after this so-called body shaming made its way into the news, but I feel I have to speak out now. And what I’d like to say is, I’m irked on a lot of fronts. First, the fact that someone used a personal video to attack an individual disgusts me. Second, I feel it abhorrent that people would choose to accuse Parineeti of body shaming when she herself has been so vocal about the issue (which is real and important). She has worked incredibly hard to achieve a certain level of fitness, and she of all people knows what it’s like to be teased about her weight. She would never do that to me. Third, I find it hard to believe that people think friendship should be policed. I mean, if people hold such rigid views about what friendship should and shouldn’t look like… well, you should hear some of the jokes Parineeti and I share! You’d probably want to jail us both! I feel guilty for drawing my best friend into a hurtful conversation! Such a strong negative response inhibits the openness of people on social media and deters sensibility and normalcy from existing. I’m big on self-deprecation which allows my close friends to banter while maintaining appropriate respect and understanding. Therefore, the baseless hatred I’ve seen, directed at something that was just a joke, is quite hurtful. It also makes me feel guilty not for my body, but for drawing Parineeti into a hurtful conversation. Slow claps. Swaggiest way to shut down trolls that seem to be out of work or job nowadays, nitpicking on every single thing. Previous : Kareena Kapoor Khan Gets Candid About Her Pregnancy and We Love Her Even More!